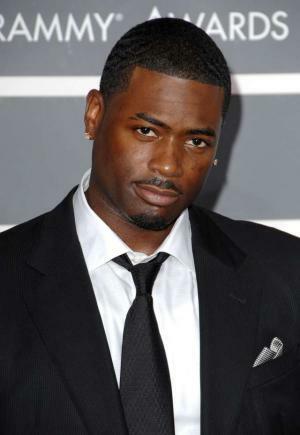 Memphitz Wright was born on 28 August 1983, in Tennessee, USA, and is a producer and television personality, best known to have been part of the reality show “Toya: A Family Affair” with Antonia “Toya” Wrtight. He also owns his own record label, and all of his endeavors have helped put his net worth to where it is today. How rich is Memphitz Wright? As of mid-2016, sources estimate a net worth that is at $10 million, mostly earned through success in the music and television industries. He’s been part of several television shows and has worked with various major record labels. He’s also responsible for helping the careers of rappers such as T-Pain. As he continues his career, it is expected that his wealth will increase. At a young age, Wright knew that he had a passion for the music industry and later found his entry point through Arista Records which he joined through an internship. Afterwards, he was given the chance to become a host, and appeared in “The Deal” for BET before joining Jive Records. “The Deal” was a rap show which was a successor to “Rap City”, and it helped boost Memphitz’ popularity. Despite very little promotion and a bad time slot, the show got a significant following thanks to word of mouth. In 2010, the show was cancelled, but had a few re-runs through BET UK. Eventually, Wright became part of A&R which is best known for signing rapper T-Pain. He then started to work on his own label, creating Hitz Committee Records. He’s been known to work with various artists such as the Backstreet Boys, Britney Spears, David Archuleta, Justin Timberlake and Pink. His net worth has risen correspondingly. After getting married to Antonia Johnson, former wife of Lil Wayne, he then became part of the reality show “Toya: A Family Affair”. The show lasted for a season and a total of 16 episodes. For his personal life, it is known that Memphitz had a relationship with K Michelle, who’s best known for being part of the show “Love and Hip Hop Atlanta”. Their relationship turned controversial after it was revealed in the show that Michelle was a victim of physical abuse which ended their relationship, (She was also formerly signed to Hitz Committee record label), though Memphitz has denied all allegations of abuse. Due to this, he went to the courts to defend his name and family as they have been repeatedly accused by numerous sources. He would lose the defamation battle as it was indeed proven that he had a few problems with the singer and even threatened her several times. In 2011, he married Antonia Johnson and their marriage was attended by a lot of high profile rap artists. However, it was reported that they are divorcing in 2016, and that they had already separated the previous year. He also recently turned himself in to the police after reportedly pulling a gun on a car wash worker. He is now facing charges of armed robbery and aggravated assault.